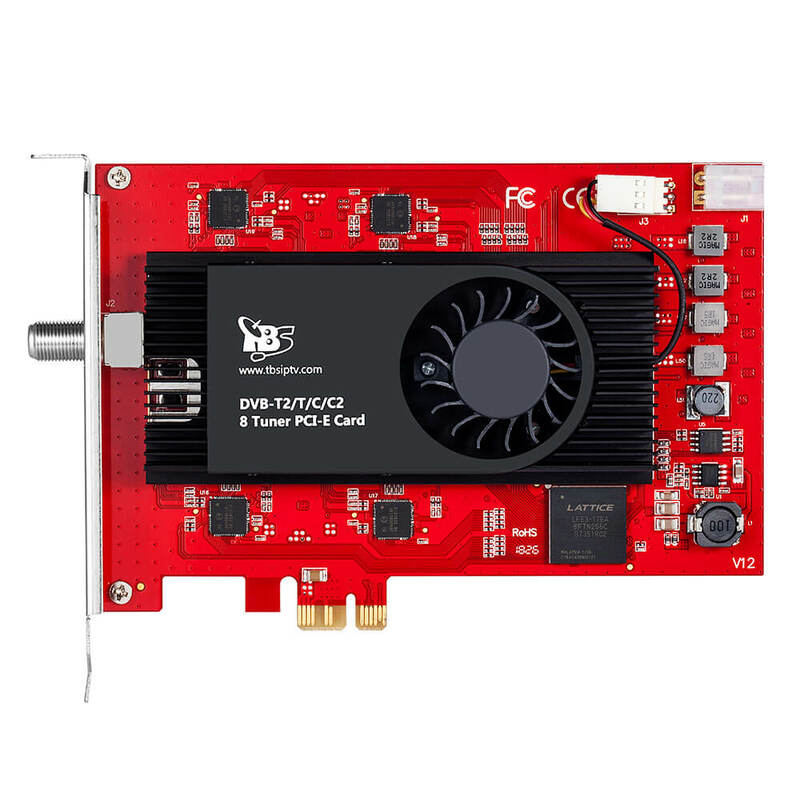 TBS6209 is a DVB-T2/C2/T/C/ISDB-T TV Octa tuner card with PCI-Express interface, it can be used for watching eight different channels from eight different frequencies simultaneously, and it supports both DVB-T2 and DVB-C2 standard at the same time. 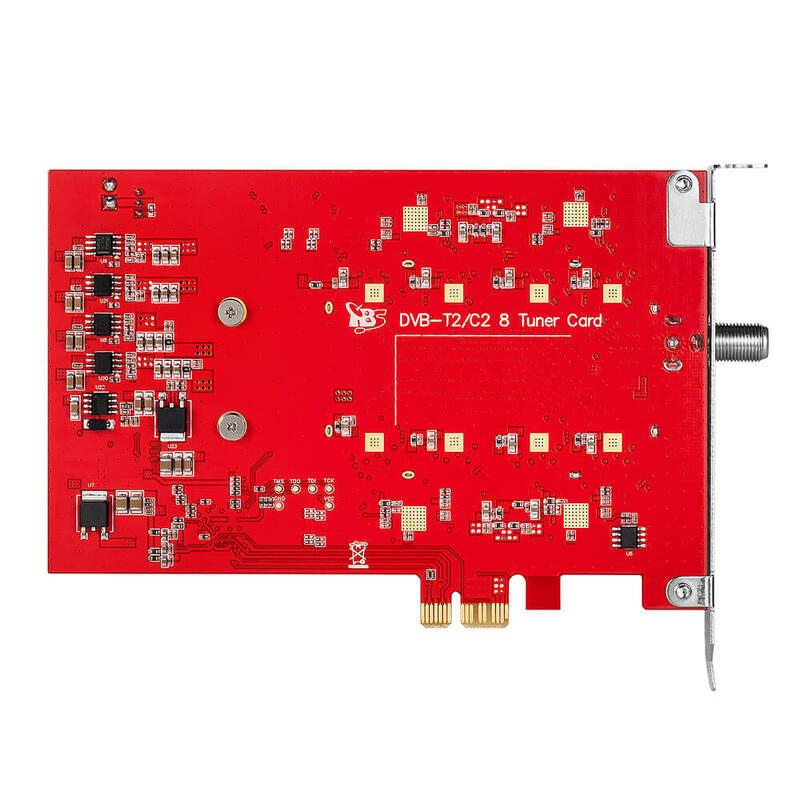 TBS6209 DVB-T2/C2/T/C/ISDB-T TV Octa tuner card works also as a digital video recorder for recording digital terrestrial TV programs with full HDTV support. 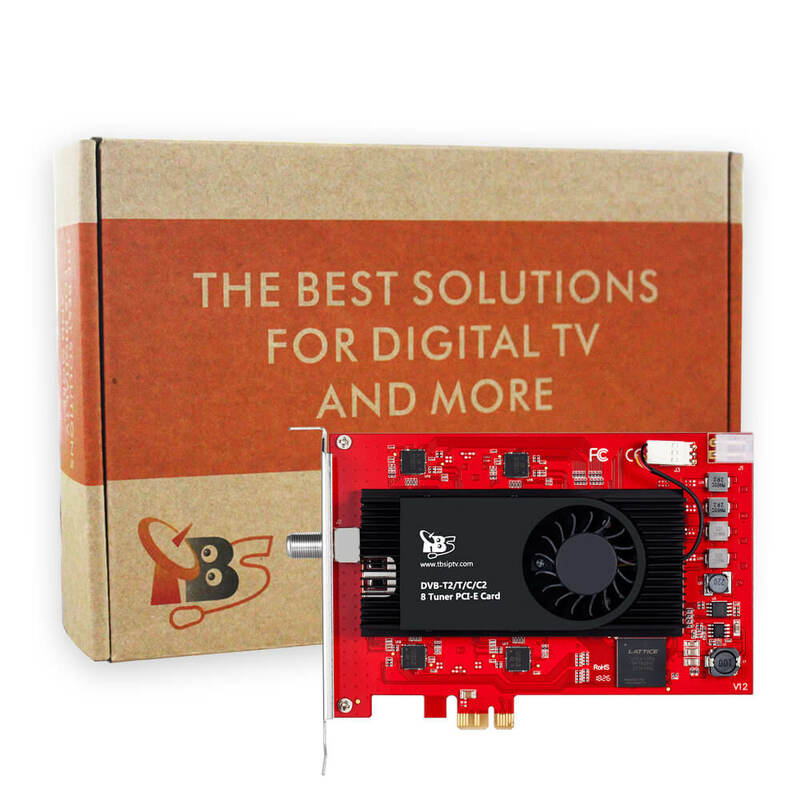 TBS6209 is considered as a professional TV tuner for industrial-level users. 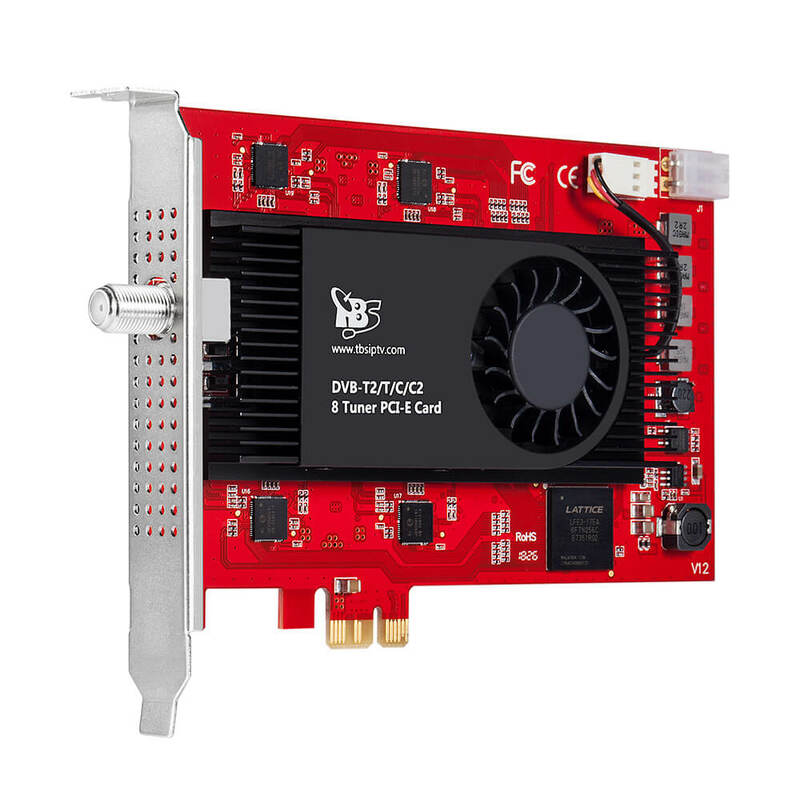 When you have limited PCIe slots in your server, TBS6209 enables you to receive more channels than the usual dual or quad TV tuner, thus it is highly recommended for IPTV streaming and broadcasting system.